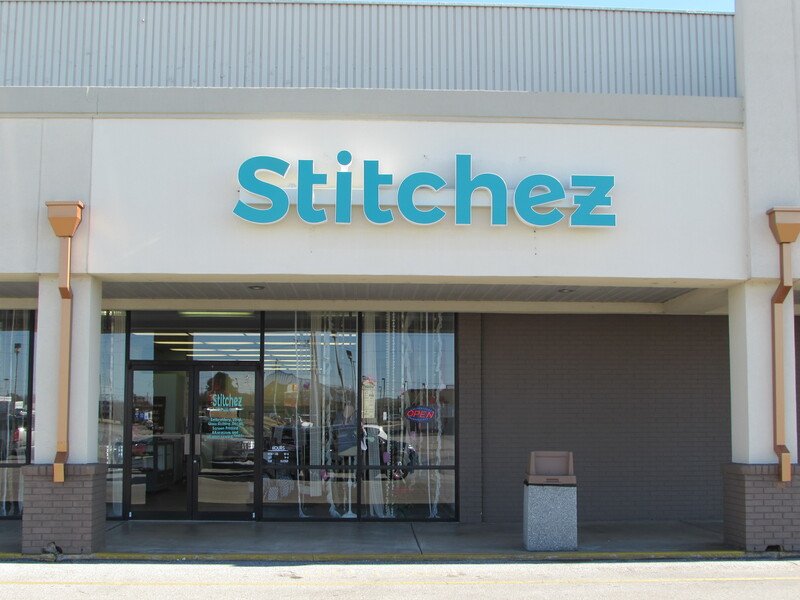 Tenant Spotlight - Stitchez | Gateway Commercial Brokerage, Inc.
Stitchez is a recent addition to the Gateway Shopping Center, having their GRAND OPENING on December 1, 2018. Gateway spoke with owner Renee Mort about her business and what makes her business special. How would you describe your business? We are essentially your all-in-one sewing store: embroidery, vinyl, alterations. We do screen printing. We also sell homemade goods like pillows, curtains, etc. You are a new tenant in Gateway Shopping Center, in Suite O. What made you decide to lease this location for your business? We liked this shopping center because it had a lot of foot traffic and always seemed busy. We looked at other places, but we knew being here we would have more people come in our store. What's been the most beneficial aspect of this location? Foot traffic. We stay busy. Our sign also helps us stand out! The vibrant color really pops, both within the center, but also in seeing it from 6th Avenue. We are excited to see your business grow in Gateway Shopping Center. Is there anything else we should know about Stitchez? I have been in this business for 16 years, and my experience, I believe, is what sets me apart. Don't forget to follow us on Facebook to see what all we have in the store.